ROMANOV'S TODAY...What they can do for YOU! Romanov sheep are a pure breed and are not a composite (composed of several different breeds or crosses). 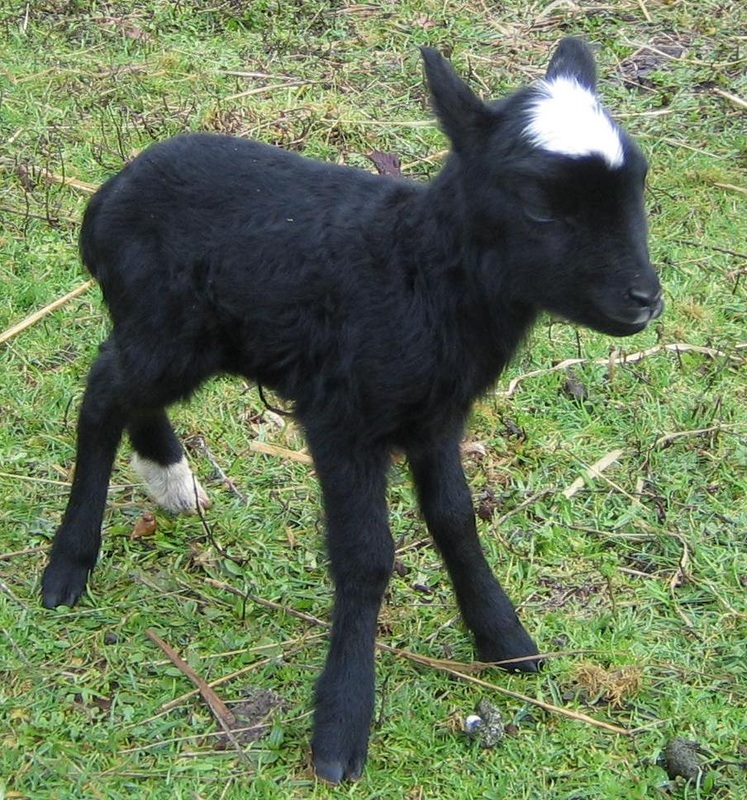 Therefore, crossbred lambs exhibit increased hybrid vigor which results in more lambs weaned and marketed. The maternal genetics of the Romanov are passed on in a crossbreeding operation whereby the ½ and ¼ blood ewes, when crossed on a terminal meat sire, will produce growthy, meaty market/fat lambs and a 200-300% lamb crop. They will exhibit the out-of-season breeding characteristics in all but the hottest months of the year. Romanovs are primarily a meat-type sheep. The meat is extremely lean and mild due to lack of back fat on the carcass. Most of the fat is carried internally in the kidney area and is cut away when processed. Carcasses dress at approximately 50-60% and sell well as 60 to 80 lb. lambs for the ethnic market. Rate of gain varies, depending on management, but can be as high as a pound per day. Rate of gain on the crossbred lambs will be even greater than on the purebreds depending on the domestic breed they are crossed on. The gray wool is mixed with black guard hair which can be used for rugs, mats and wall hangings. It can be spun; however, the guard hair mixed in the wool cannot easily be removed. It can be used as a lining inside jackets for warmth or in garments not worn next to the skin. When Romanovs are crossed with our domestic breeds of sheep, the wool is a marketable commodity.